The movement distance per rotation of the thread is determined by the thread pitch, so the significant points are the resolution and stepping precision. 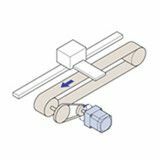 Our linear actuators offer all-in-one linear motion systems. 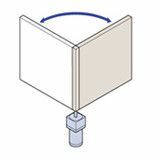 Or you can build your own linear motion system using one of our standard rotary systems combined with a linear mechanism. 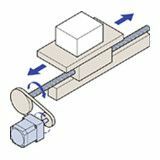 When you need more than 200 stopping points per rotation of the lead screw, consider a stepper motor first. 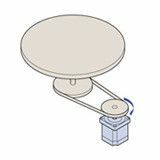 Servo motors can also provide high accuracy positioning and feedback. 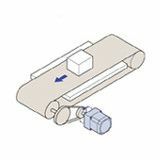 We suggest a AC reversible motor or electromagnetic brake motor with an electronic brake pack for lower resolution applications. If variable speed is required we recommend the an AC motor or brushless DC motor speed control system. For Rotational Operation applications, resolution and stopping precision are the most important points. 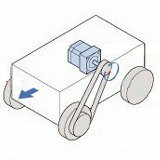 Stepper Motors, Servo Motors and Hollow Rotary Actuators all provide precise movement and positioning. If an overrun of less than 1 rotation (motor alone) is required, try an AC induction motor, AC reversible motor, with electromagnetic brake with an electronic brake pack.. If speed control is a primary requirement, AC speed control motors or brushless DC speed control motors are ideal. If high frequency starting and stopping are required, clutch and brake motors may be the best fit. With a clutch and brake motor, the motor runs continuously and the load is started and stopped by switching the clutch and brake on and off, enabling continual operation of 100 cycles per minute. When high speed operation and high resolution are required, a stepper motor is the best solution. 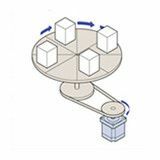 The closed loop AlphaSTEP step motor and driver system offers short, accurate moves and closed loop feedback. Our microstepping step motor and driver systems offer high precision and very low vibration. For speed stability, brushless DC motor speed control systems offer a wide range of solutions. Easy-to-use AC speed control motor systems and brake packs can be combined with an AC compact motor to meet a wide variety of application requirements. For low speed, high torque applications, we recommend the SMK series of low speed synchronous motors. 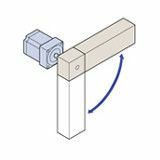 If the application incorporates a rack & pinion mechanism, the LS series of linear heads connected to AC motors is recommended. A fan is a device that creates airflow by using a motor to rotate blades. Cooling fans are essential in the smooth operation of many sophisticated machines, such as electronic equipment. The ORIX fan line includes AC and DC axial flow fans for ventilation and cooling, centrifugal blowers for local cooling, and cross flow fans for a wide, uniform sheet of air. The ORIX fan line incorporated specially designed fan blades for increased air pressure, increased static pressure, high airflow and low noise.